Let me put this into some perspective. 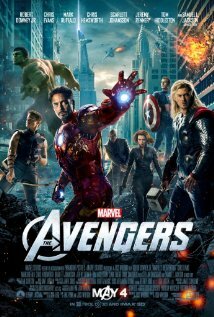 I loved “The Avengers” (it was on my Top 3 Superhero movie list the other week). “Angel,” “Buffy,” and “Firefly” are three of my favorite shows of all time. I’m a Whedonite. Which is why I’m “meh” about this. He’s already done “The Avengers” (and did it well) I want him to move on. I don’t want to wait another three years before I get my next fix (not counting “Much Ado About Nothing” later this year which…I’m skeptical about – given the fact it was shot over a weekend in his backyard). I want Whedon NOW. As such, I found it much more exciting that he’ll be involved in the show that Marvel is pitching ABC. That excites me. He’ll be anchored by “Avengers 2” though. It’ll weigh him down. He won’t get lost in the TV side because he’ll be prepping the Next Big Thing. Remember the last time he wasn’t completely invested in TV? We got “Dollhouse” (which was OK, but it didn’t live up to its pedigree). Get him back on TV. Give me 22 hours of Whedon to digest a year. Not 2.5 hours in three years. I like new blood to spice things up. I like people that are hungry. Joss had the Eye of the Tiger with “Avengers.” He had a need to show Hollywood that he could play their game. Will he have it again? Essentially, “Avengers” is Rocky in “Rocky I and II.” Is “Avengers 2” Joss’ Clubber Lang? So it’s the weekend, you’re staring at your Netflix streaming queue, and realize that the only thing you have left is that “Madea Gets Bunions” movie that you added on a dare. Don’t worry, Streaming Saturday is here to help save your eyeballs. Avengers, almost assemble! “Iron Man 2” has been on Netflix forever, “Thor” and his totally unphallic hammer have been flitting about for a month or so, but this Saturday is the first time that the titular head of the Avengers, Captain America, will be available for streaming. Out of last summer’s Marvel movies, this was my favorite. Cap’s rise to the occasion was a bit ham-handed, the USO stint just dragged the plot down, but once Cap came into his own, I felt it was a really enjoyable action/WW II flick. 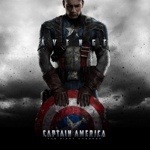 And Chris Evans owned the part of the Captain (big-headed CGI during the “puny Steve” sequences aside). He managed to bring just enough Boy Scout to the role, but in a more “be prepared and do good” and less of a “golly gee, that Mr. Hitler’s a bad egg” kind of way. Hugo Weaving had some great scene chewing as well and I’d love to see him come back in some capacity in future Marvel flicks. Plus, with the announcement of Winter Soldier being the focus of the next movie, you’ll want to get up to date on Bucky Barnes’ backstory. So fire up your Netflix feed machine and queue up “Captain America: The First Avenger” for a quality small screen popcorn flick. You won’t be disappointed.